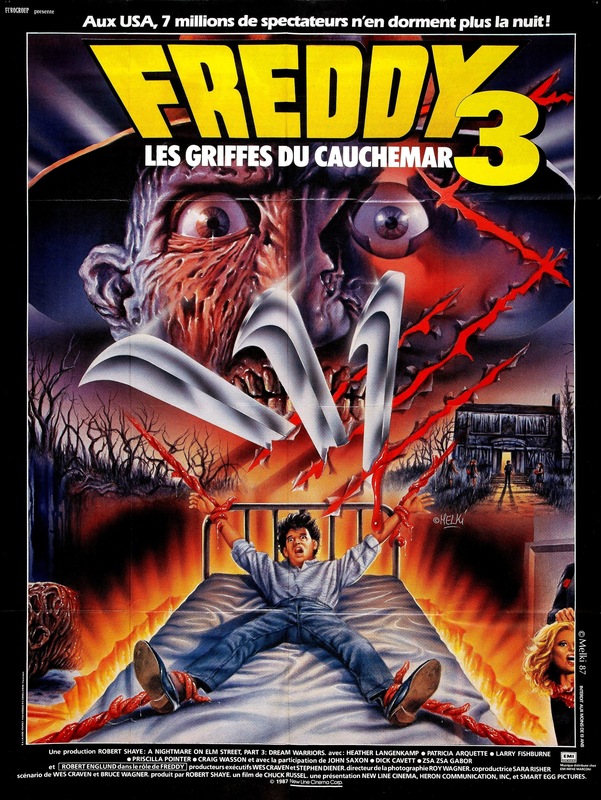 Released in 1987, A Nightmare on Elm Street 3: Dream Warriors is considered by many fans of the franchise as the best of the series and for those who favor the original cite this as the best of all the sequels. Dream Warriors is kind of an interesting film since in some ways, Freddy (Englund) is at his cruelest as he uses the fears of his victims against them, but in other ways this is sort of what he in a sense became the hero and some people myself included labeled Freddy in some of the sequels as a homicidal Bugs Bunny and that sort of started here (more so in Part 4). Dream Warriors is a solid film, but its never been among my favorites of the series. While I understand why Dream Warriors is beloved by Elm St fans I very much prefer the original and I also liked New Nightmare more and I’d even favor part 4. I grew up with the Elm St films, but honestly I’ve never been a massive fan with the exception of the original and New Nightmare while I don’t dislike the others, but I don’t love them. 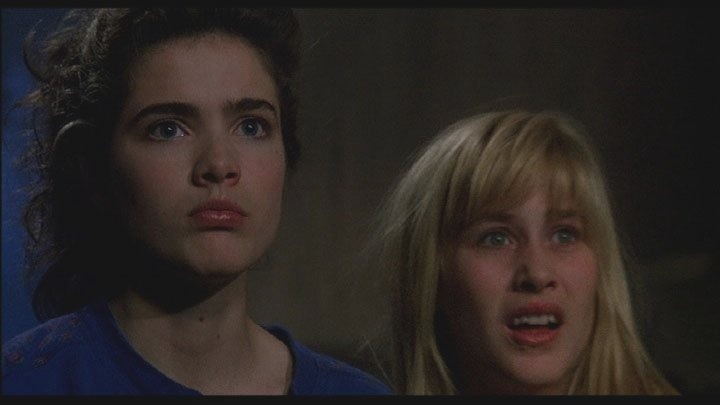 But I can easily understand why Dream Warriors is so popular. 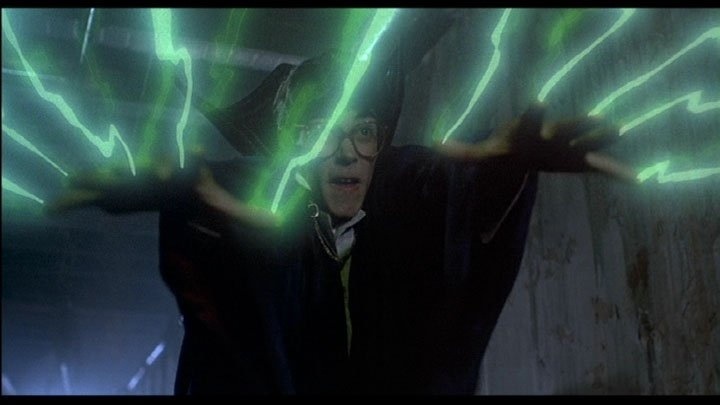 This one also started the big F/X scenes and while the previous two had many F/X, Dream Warriors is when the series became very Hollywood as Freddy became a pop culture icon and starting here they sort of became CGI films before CGI. What I find interesting is people blast modern horror films for being Hollywood, filled with big F/X and made for the MTV generation. That’s exactly what Dream Warriors can be described as and if anything the MTV generation would be the 80s into the 90s. 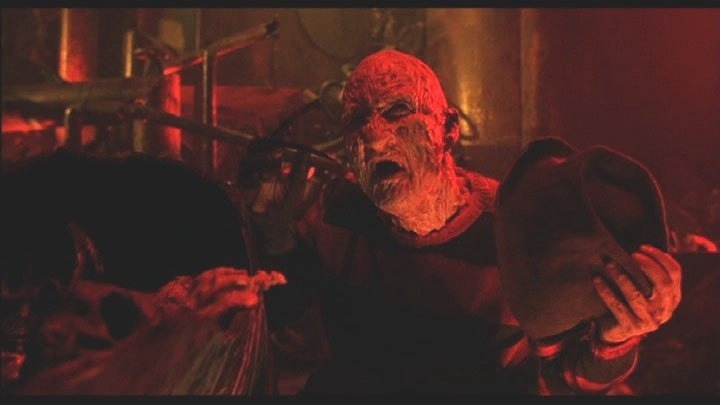 Robert Englund appearing as Freddy made many appearances on MTV. It’s interesting to me because people blast modern films for this and praise Dream Warriors. It’s a little hypocritical. Of course Hollywood at this time was still going strong and Hollywood releases at the time are far superior for the most over those now, but that isn’t the point. Typically as a franchise goes on they tend to drop in popularity. The later Friday the 13th films while still making a profit weren’t as financially successful but Jason seemed to become a bigger pop culture icon. 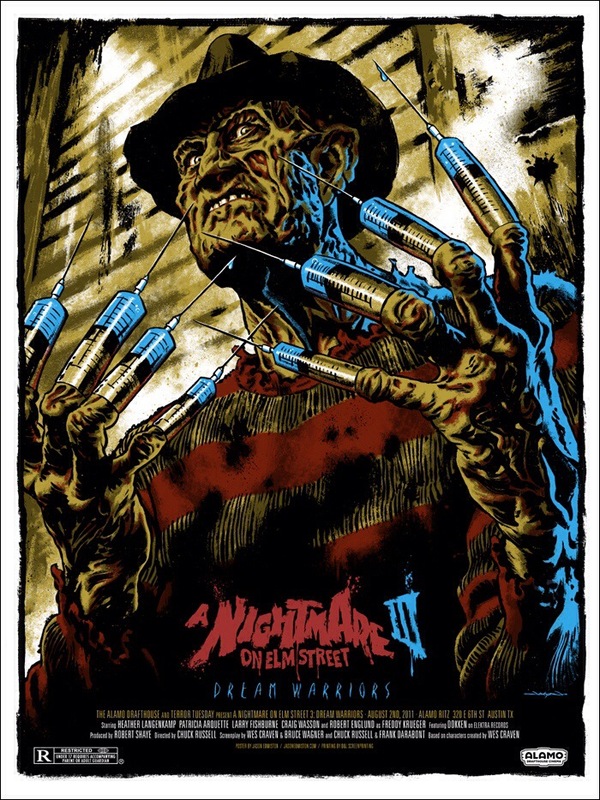 With Elm Street, the first two were highly successful though the 2nd wasn’t as well revived and is by many considered the weakest of the series and even at the time of its release many felt it was far inferior to the original, but than came along Dream Warriors, which made 43-million dollars, which basically doubled the money made by the first 2 and by far making it the highest grossing of the series (part 4 would edge it out the following year than Freddy Vs. Jason). And not only would the films grow in popularity, but again Freddy would become a pop culture icon. 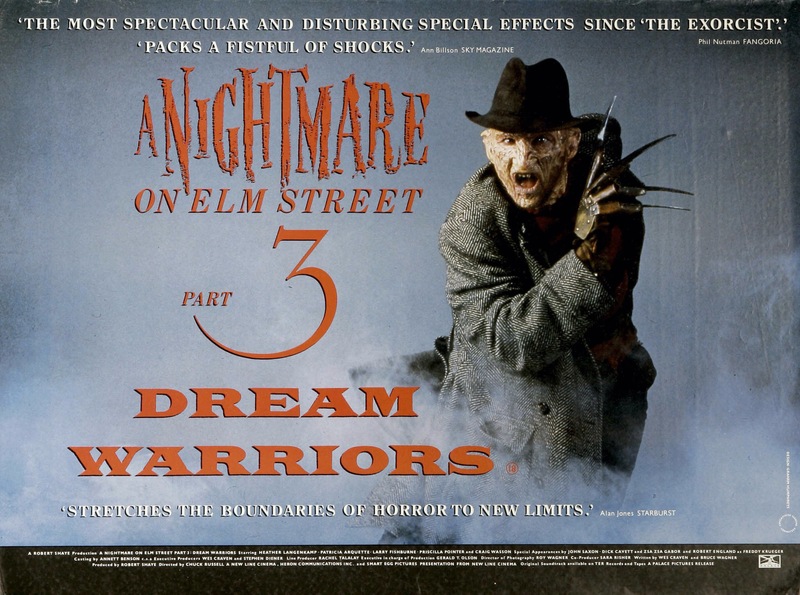 Very rarely does a series grow in popularity as it goes on and of course there will be exceptions, but with Dream Warriors and Dream Master (part 4) the Elm Street series just seemed to grow and grow in popularity rather than declining. The screenplay was written by Wes Craven, Bruce Wagner, Frank Darabont & Chuck Russell and from what I can gather Craven and Wagner wrote the first draft and Darabont and Russell did the rewrites. The script is actually quite strong and while not my favorite of the sequels it is the best written. In my opinion the Elm Street series often featured strong characters and from a character standpoint this was probably the best of the series. All the characters I found likable and easy to root for and they’re also strong enough to carry the film when there isn’t any action. This took the series in a different direction and also offers some insight in the origins of Freddy, but it doesn’t fully stray from the concept either. Freddy is a lot more powerful here and this is sort of when he started getting comedic as well and while it worked it also made him too likable and, which was a little unfortunate since it also slightly takes away from the characters, which again were in my opinion the best of the series. Overall the script is quite strong and and at least offers something a little different rather than being a rehash like most sequels. Director Chuck Russell delivers a well made and often exciting film. Pacing is generally strong and really my only complaint is it does lack suspense and tension and at times the tone of the film feels more like an action film rather than a horror film. While there are some decent moments of suspense if anything Russell aims to make a film built around more excitement and F/X rather than horror. When all is said and done though Chuck Russell does deliver a very entertaining film that does slightly stray from the concept, but not enough to feel out of place and with that Russell does his own thing rather than try and copy Wes Craven. Overall Dream Warriors is a highly entertaining film and while its a little too Hollywood, but this also came at a time when Hollywood was going strong. 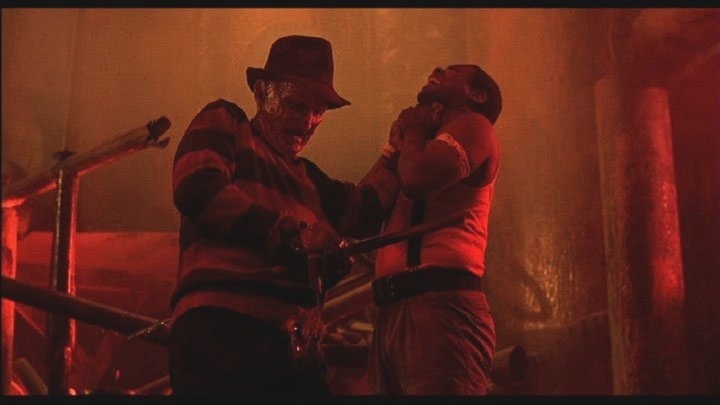 I prefer the darker Freddy and the simplicity of the original, but Dream Warriors is still a lot of fun that changed the direction of the series for better or worse. While Dream Warriors isn’t one of my all time favorites its still a great watch.